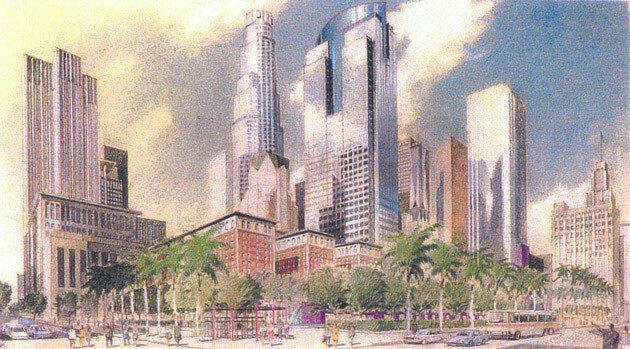 Downtown Los Angeles is being transformed into a highly connected, 24-hour, living-working city by the 30-year Moule & Polyzoides Downtown Strategic Plan. This successful Plan has coordinated policy and design, private intervention and community participation for an interdisciplinary approach to revitalizing a major urban center. The Plan is characterized by a system of civic and neighborhood parks, a sophisticated network of streets and an evolving subway and light rail transit system. 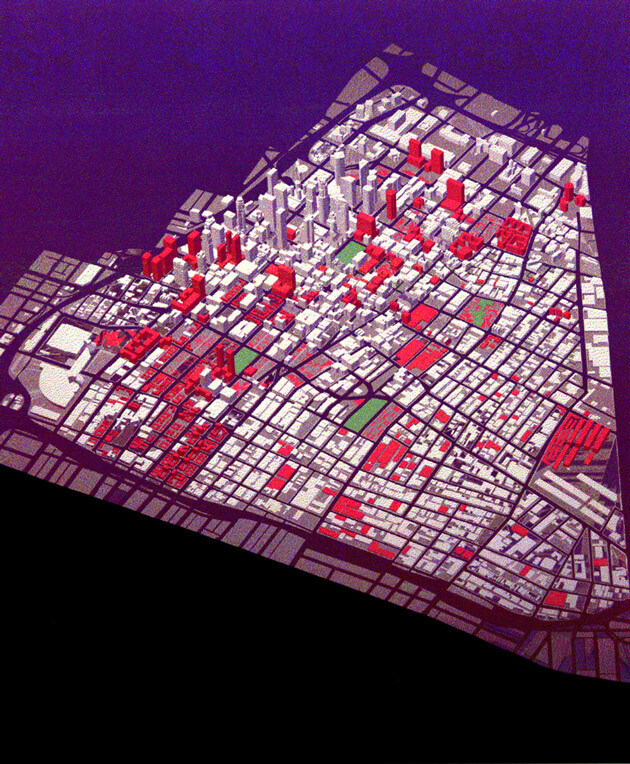 Building use, density and form guidelines are outlined, along with a collection of catalytic projects that have helped galvanize redevelopment. As downtown returns to its former prominence, the initiatives proposed by the Plan are directing the area towards a prosperous and equitable future for its residents as well as for the entire Los Angeles region.